LEXINGTON, Massachusetts, Jan. 11, 2017 /PRNewswire/ — Today, Sekisui Diagnostics announces the launch of the OSOM® BVBLUE® Test in Europe, Middle East and North Africa. 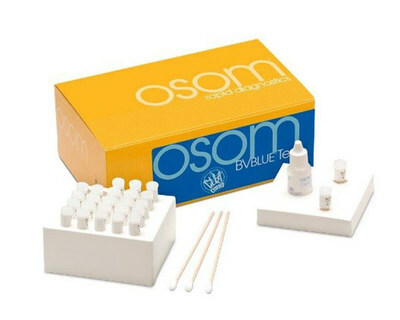 The OSOM® BVBLUE® Test, which is used in the diagnosis of bacterial vaginosis (BV), is now CE marked. The test provides accurate results with minimal hands on time through detection of elevated levels of the enzyme sialidase produced by the four major pathogens associated with the condition. BVBLUE is a registered trademark of Gryphus Diagnostics, LLC.